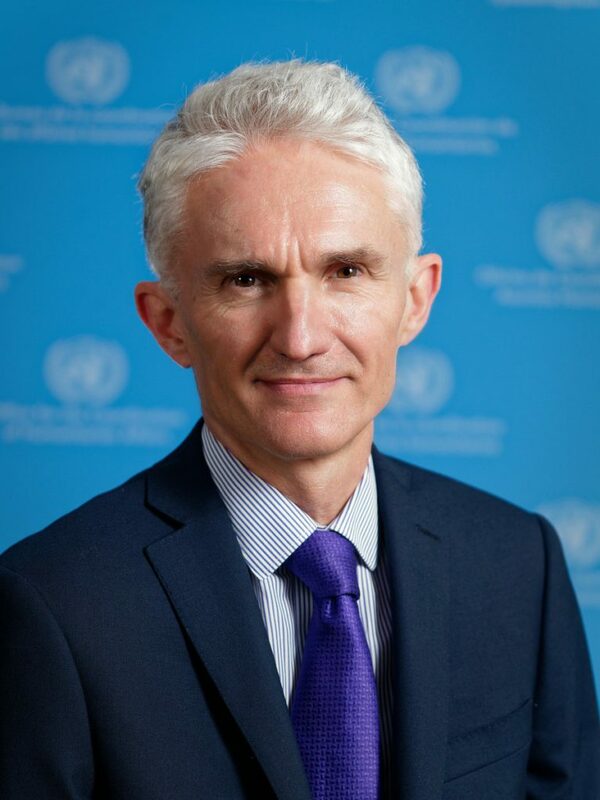 In May 2017, Mr. Mark Lowcock of the United Kingdom was appointed as the Under-Secretary-General for Humanitarian Affairs, Office for the Coordination of Humanitarian Affairs (OCHA), and Emergency Relief Coordinator. With over 30 years of humanitarian and development experience, Mr. Lowcock serves as the chief coordinator of the world’s humanitarian response in times of urgent crisis. In his most recent position, as Permanent Secretary for the Department for International Development (DFID), Mr. Lowcock led the United Kingdom’s humanitarian response to conflicts in Syria, Iraq and Libya as well as to natural disasters in the Philippines and Nepal. Prior to his leadership of DFID, Mr. Lowcock served the Department as Director General for Africa and Asia, coordinating its response to humanitarian emergencies in Haiti, Pakistan and Myanmar. He served previously as Director General for both Policy and Corporate Performance as well as Director of Finance. Having served for extended periods in Kenya, Malawi, and Zimbabwe, and with a subsequent designation as a Qualified Accountant, Mr. Lowcock brings both a personal and analytical approach to humanitarian challenges. His leadership of a large and complex public organization has provided critical experience for his work as the world’s chief humanitarian advocate. Mr. Lowcock holds a Master of Science in Economics from the University of London and a Bachelor of Arts in Economics and History from Oxford University. He is married to Julia Watson and they have two sons and a daughter.